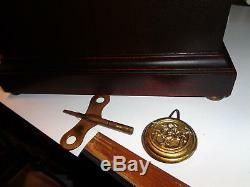 An Antique-Seth Thomas-5 Bell Sonora Chime Mantle Clock-Ca. 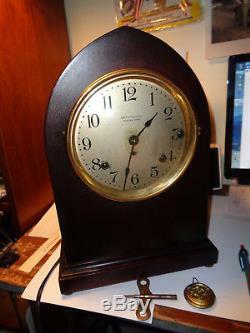 1915-To Restore-The clock stands 14 1/4 tall. 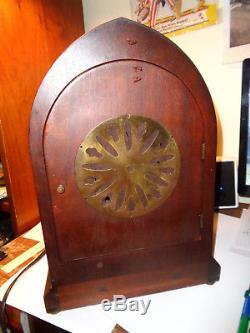 The case retains its old original finish. The brass bezel has its original thick convex beveled glass. The 8 movement is complete & original with good mainsprings. Having its original key & pendulum. 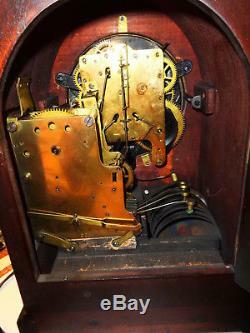 The clock has been stored for many years & will need a cleaning & fresh oil to run. 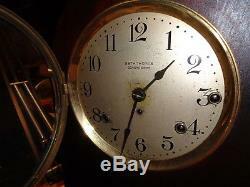 The item "Antique-Seth Thomas-5 Bell Sonora Chime Mantle Clock-Ca. 1915-To Restore-#P499" is in sale since Wednesday, September 12, 2018.